formation. Contamination reduces production and shortens the life a producing well. Contamination of the formation with particles can occur during wellbore clean up, perforating, fracturing, acidizing, workover, water injection, and gravel packing as well. Any time fluid is put into the well bore with a solid content, no matter how slight; there is a chance of damaging the formation. Therefore all fluids used during completion of an oil or gas producing must be free of dirt particles. 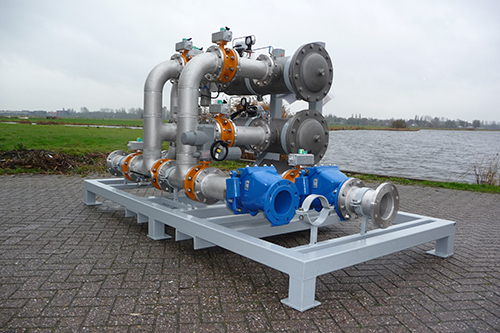 Dutch Filtration will support you to select the best suitable equipment and consumables to perform filtrations service; efficient, safe and against optimum cost per treated barrel. In the oil industry, waterflooding or water injection is where water is injected into the oil or gas formation, to increase pressure in the formation and thereby stimulate production. Water injection or water flooding is done on- and offshore, to increase oil recovery from an existing oil or gas reservoir. 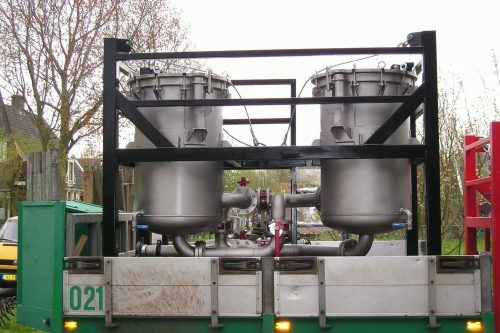 The filtered water is injected to support the reservoir pressure (also known as voidage replacement), and also to sweep or displace oil from the reservoir, and drive it towards a production well. Normally only 30% of the oil in a reservoir can be extracted (primary recovery), but water injection increases that percentage up to 50% (known as the recovery factor) and maintains the production rate of a reservoir over a longer period. Any source of water can be used for injection. Filtration of the water prior to injection is crucial. There is a high demand for Produced water free of hydrocarbons for discharge. 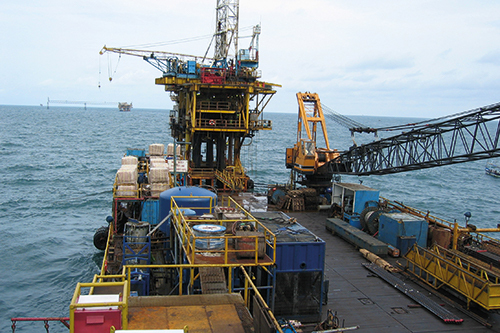 In Oil and gas production operations on offshore platforms produced water is the largest volume waste stream. Therefore it’s also used for re-injection for enhanced oil recovery. It’ s necessary the produced water is free of particles and bacterias. 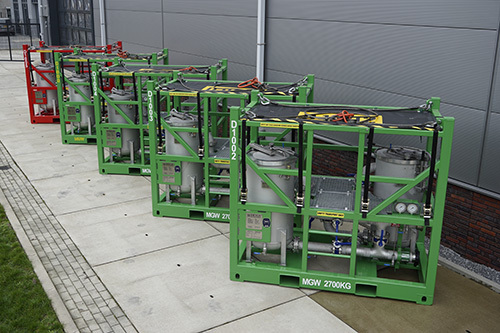 >>>LONGER LIFE EQUIPMENT..
Dutch Filtration offers guaranteed removal of certain size particles and removal of free hydrocarbons in an economic way. With custom designed produced water treatment package, best fit for discharge or re-injection. Also high reliability, High quality against balanced OPEX and CAPEX. 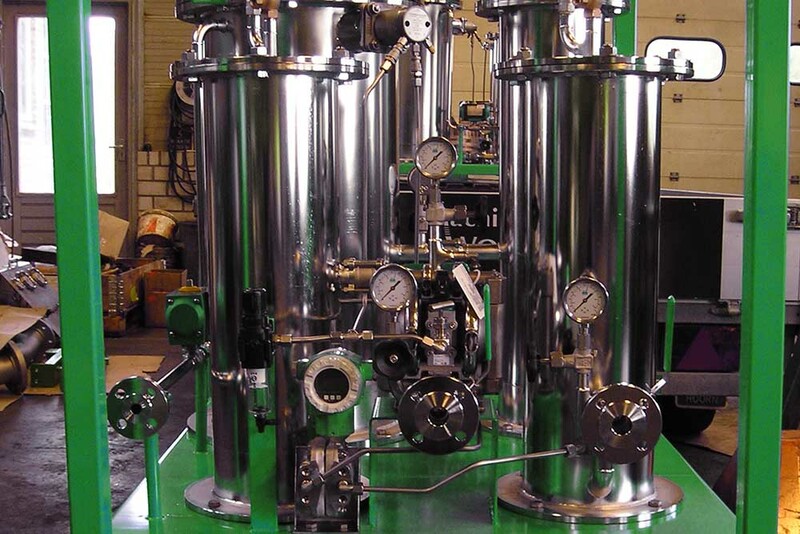 Dutch Filtration offers filtration solutions for industrial processes such as pre filtration RO/UF, cooling water filtration, edible oil, (bio) diesel, fine chemicals and more. The environmentally acceptable disposal of oily wastewater is a constant challenge in the offshore industry. Therefore, oily wastewater treatment is urgently needed. Oily water appears in different forms f.e. emulsified oil, separable oil and soluble oil. Dutch Filtration can help you to determine the amount of oils and offer you the best solution for treatment of oily water. Produced Geothermal water must be filtered well, productivity is greatly improved. 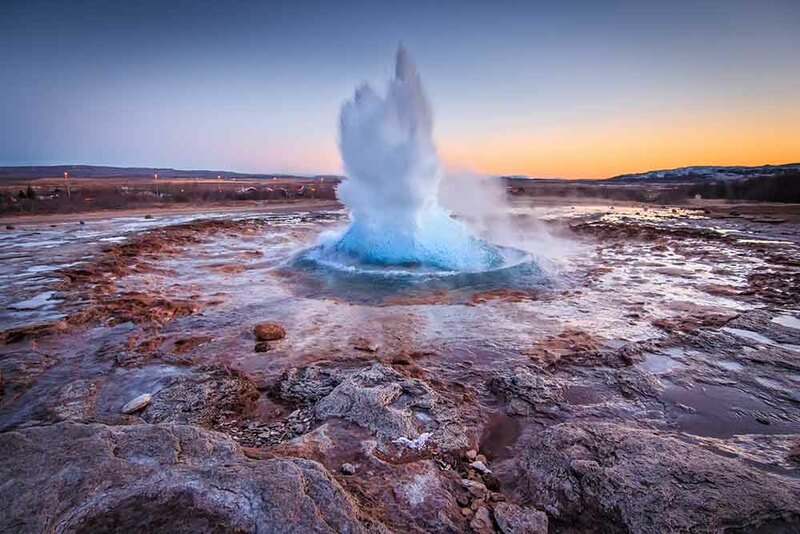 To minimize the risk of blocking production, filtration of geothermal water is necessary. It is therefore important to make the right choice for a filter. Dutch Filtration has the knowledge, expertise and experience to make the right choice with you.